A quick view of the most influential metrics in Annapolis. 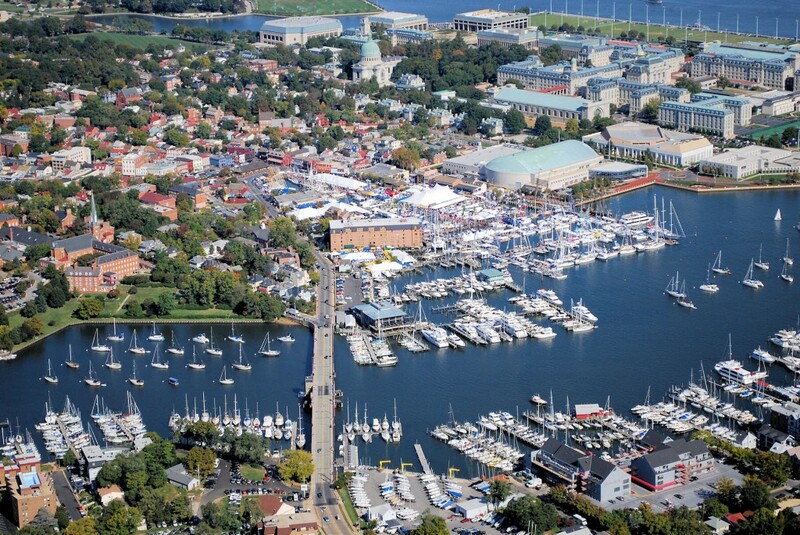 Annapolis is the capital of the U.S. state of Maryland, as well as the county seat of Anne Arundel County. Situated on the Chesapeake Bay at the mouth of the Severn River, 25 miles (40 km) south of Baltimore and about 30 miles (50 km) east of Washington, D.C., Annapolis is part of the Baltimore–Washington metropolitan area. Its population was measured at 38,394 by the 2010 census. This city served as the seat of the Confederation Congress (former Second Continental Congress) and temporary national capital of the United States in 1783–1784. At that time, General George Washington came before the body convened in the new Maryland State House and resigned his commission as commander of the Continental Army. A month later, the Congress ratified the Treaty of Paris of 1783, ending the American Revolutionary War, with Great Britain recognizing the independence of the United States. The city and state capitol was also the site of the 1786 Annapolis Convention, which issued a call to the states to send delegates for the Constitutional Convention to be held the following year in Philadelphia. Over 220 years later, the Annapolis Peace Conference, was held in 2007. 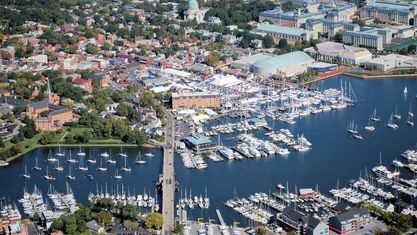 Annapolis is the home of St. John's College, founded 1696; the United States Naval Academy, established 1845, is adjacent to the city limits. View our selection of available properties in the Annapolis area. Check out the latest demographic information available for Annapolis. Get to know Annapolis better with our featured images and videos. Learn more about schools near Annapolis complete with ratings and contact information. Browse through the top rated businesses in the most popular categories Annapolis has to offer.